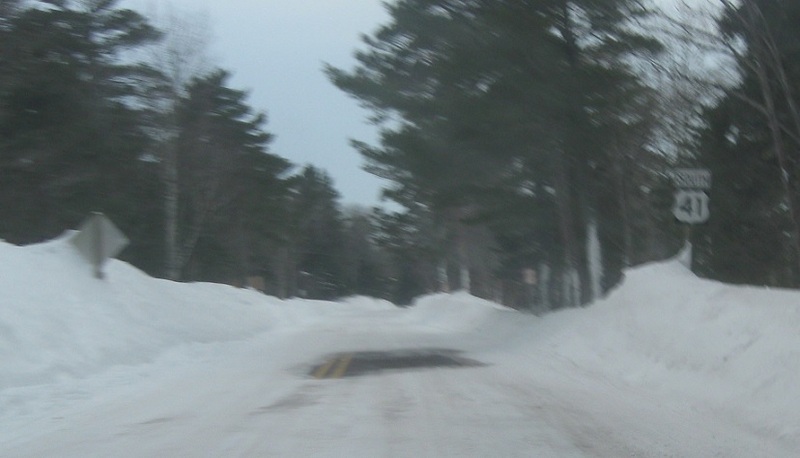 US-41 begins here. 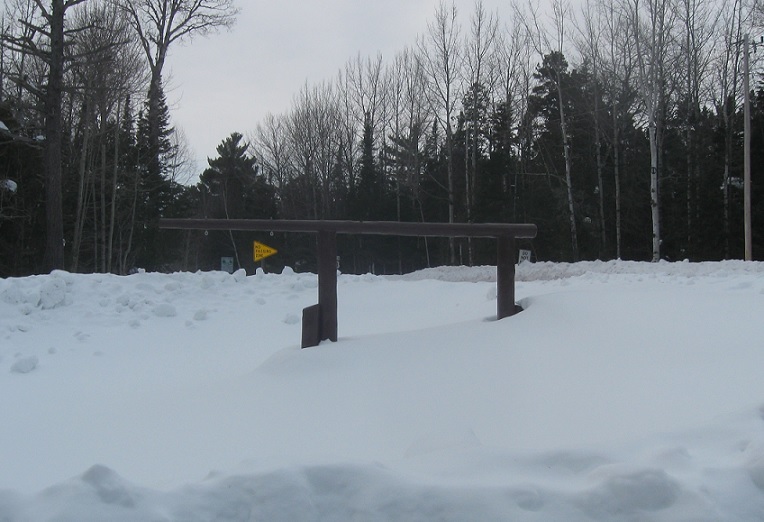 Normally, there is a sign in this cul-de-sac commemorating that event, but in winter it is evidently removed for snow storage. 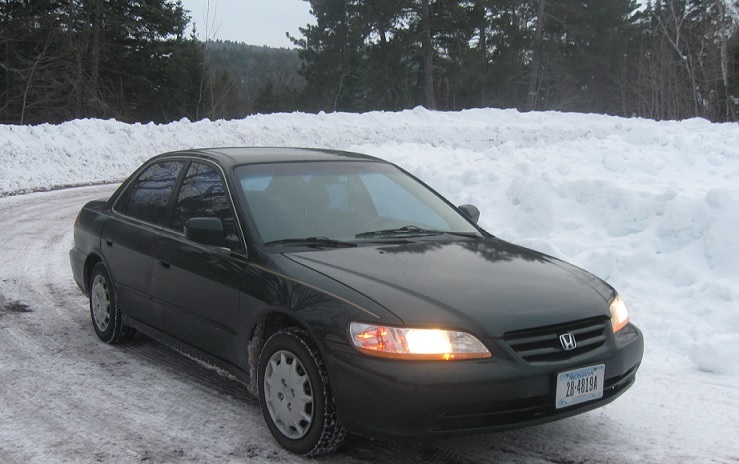 My old 2001 Honda Accord, used for this drive. 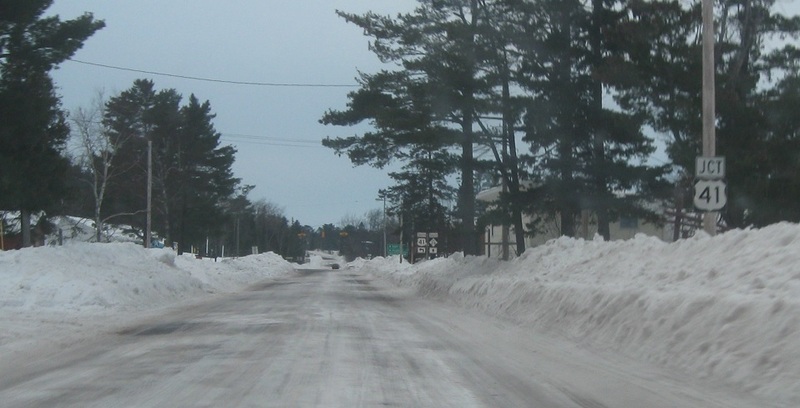 Reassurance shield as U.S. 41 begins. Reassurance shield as we head out of the state park. 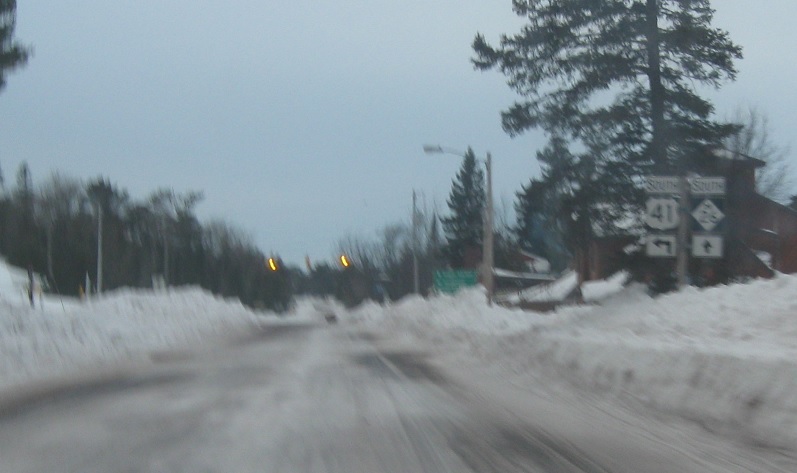 As we enter Copper Harbor, we’ll approach M-26. 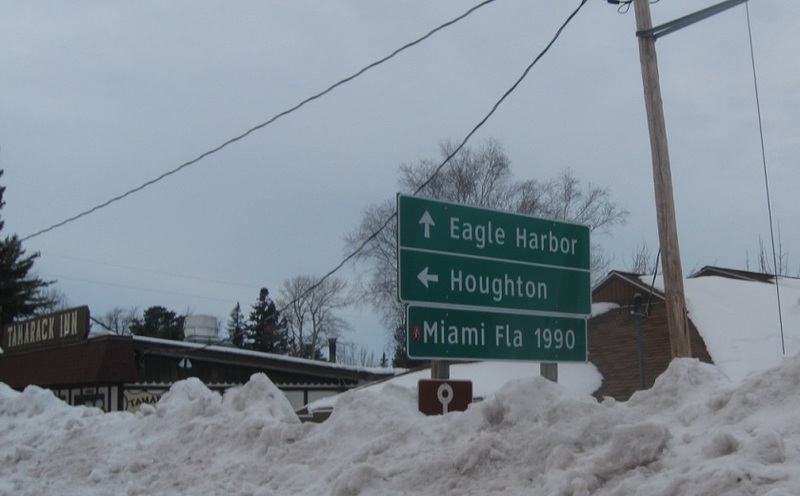 Stay straight for M-26, which heads south to Houghton along a more circuitous route. 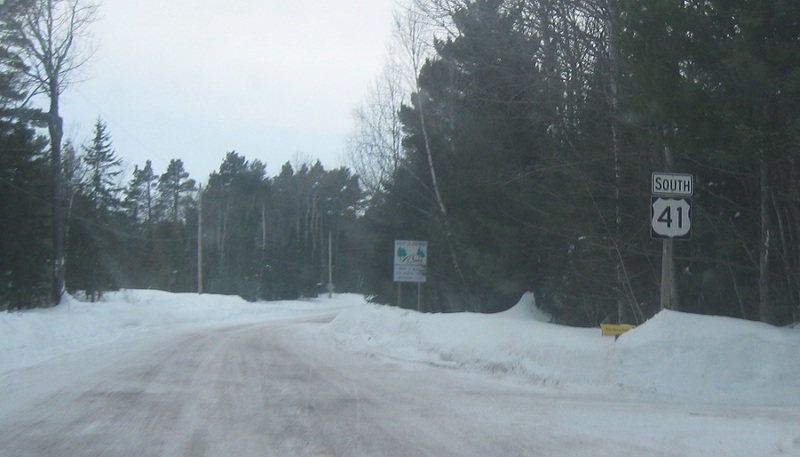 Turn left to stay on US-41. Follow US-41 south 1,990 miles to Miami, Fla.